Finally! 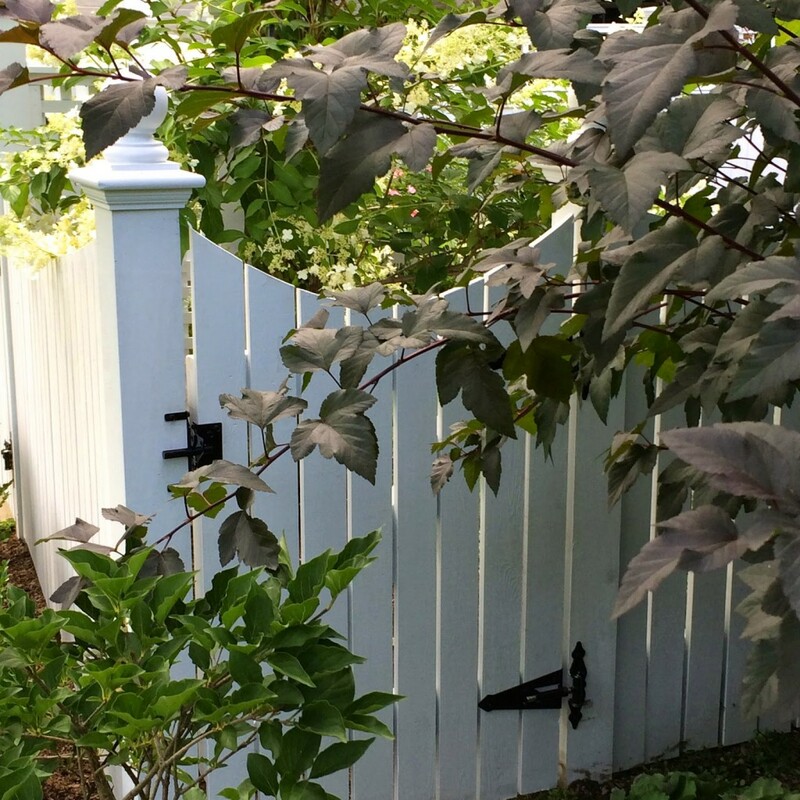 I never dreamed I would find such joy in a simple fence, an arbor and some gates. After 8 years in our home and frustration with an oddly shaped back yard (long, not deep), we are in the home stretch on our garden project. As you can see through my new arbor, it appears to be the front of the house. But, it’s not. Well, not really. We’re on a corner, so we actually have 2 front yards, according to the city records. What it does mean is that the foot and car traffic along the “side” of our house is as busy as a typical front yard. That left me feeling too exposed. I craved some sense of privacy. Sometimes what can be seen as a problem or obstacle is just an opportunity to do something unique. 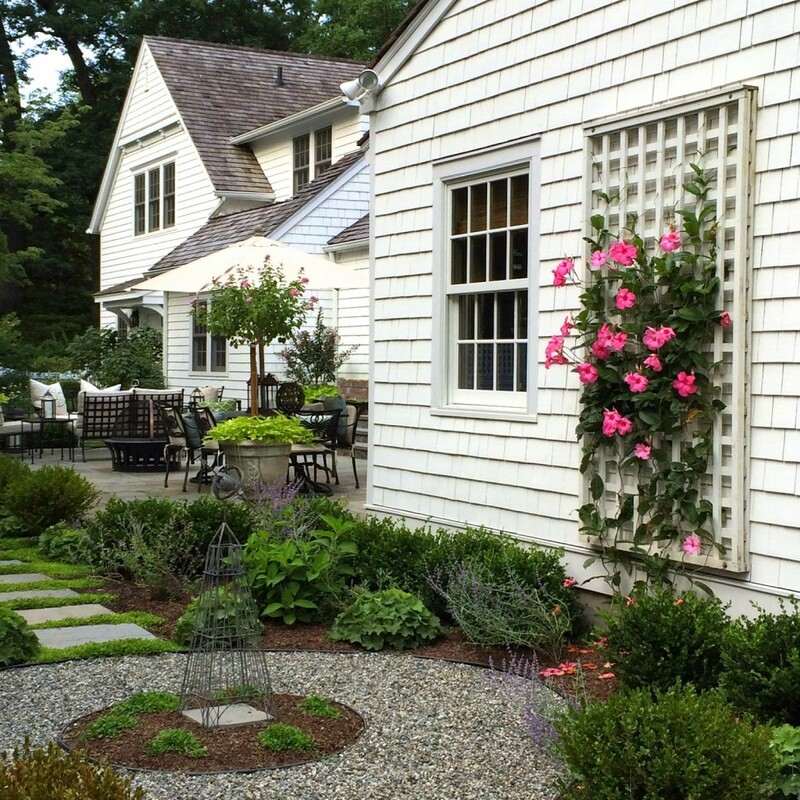 We had an existing footpath into the back yard from our earlier landscape design. Instead of ripping everything out, we kept it and put in a little “folly” gate. It works, but it’s not something you or I would go through. But, perfect for children. Almost like their secret entrance. 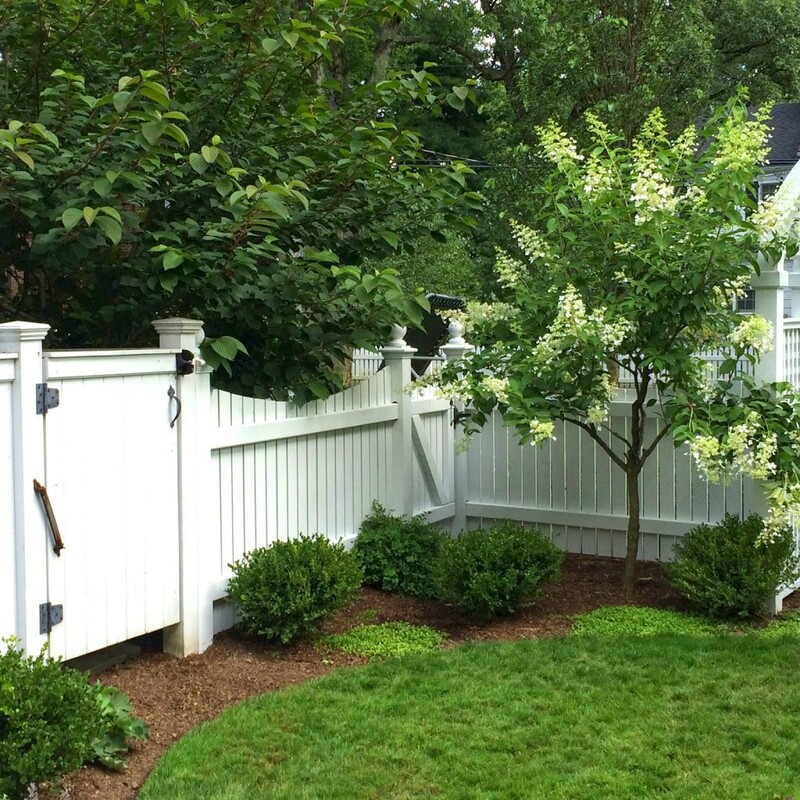 From this view, the secret gate is in the corner, under the hydrangea tree. Here is the view from our side yard. And, here is the view from my favorite chair, seen above. There are a couple more finishing touches that we hope to get to, but overall, I’m really happy with how it’s coming along. 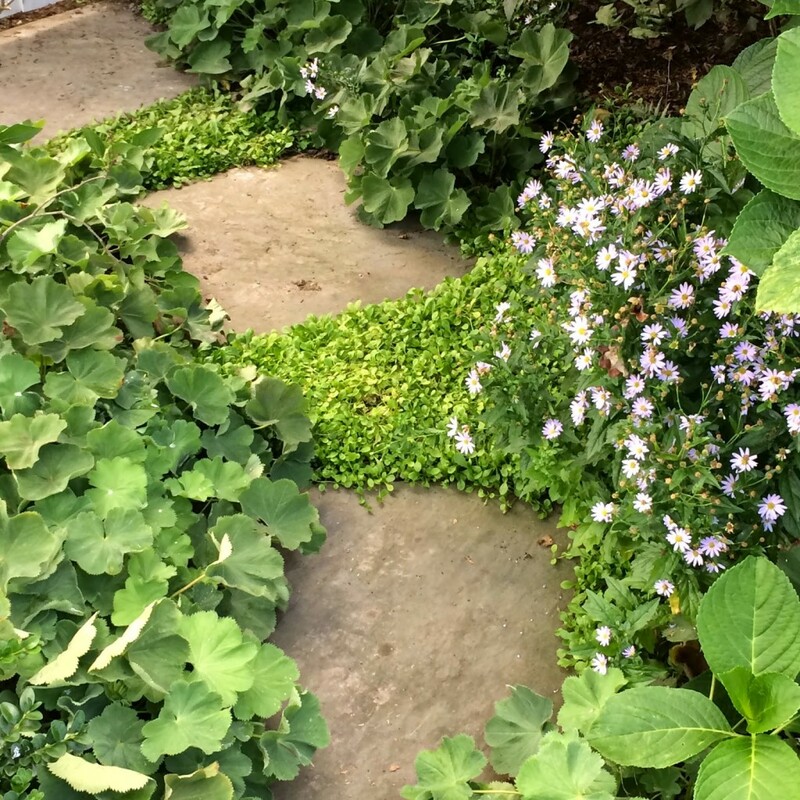 At last, I feel like I have a little backyard oasis…my secret garden. I'm totally doing a drive by. It looks AMAZING! Elizabeth, I am so happy for you that you finally have this lovely oasis and secret garden. It looks gorgeous and I think the plan was very clever. You know we are going though a landscaping project, too, and it's been a bit of a slow process. Last weekend we returned from a quick trip away and found that we finally had an arch much like the one in your first photo. I was thrilled! We still need the gate and some paint, but having this little bit of welcome into our home makes such a difference. Most of the plantings are still to come (especially the ones we are adding for privacy in our back yard), but it's starting to feel like we have our own little oasis – I think next summer it will be lovely. I guess your garden is not so secret anymore! 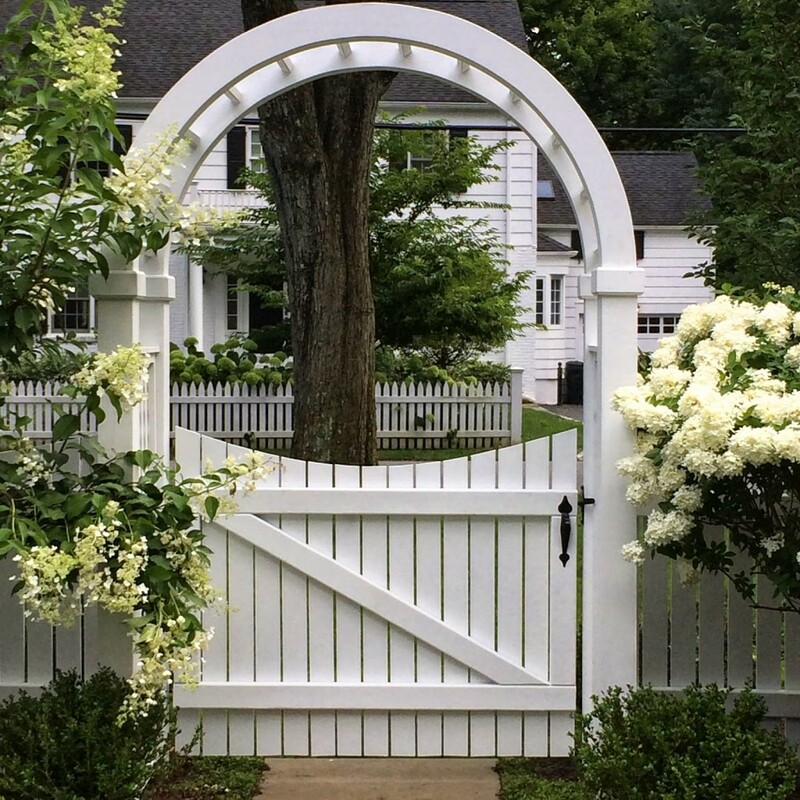 I love your gates and can see you sitting pretty there with a cool beverage, a good book and a bevy of boys frolicking about! Miss Molly must love it too! Small little surprise gardens are the best! At my stage in life I am craving a little jewel of a garden like this! SO gorgeous…picture perfect. I can understand why you would be so excited. I can see you enjoying it right through fall, it will be amazing!! You have done an exquisite job. More, more more! Simply gorgeous I love everything about it!! 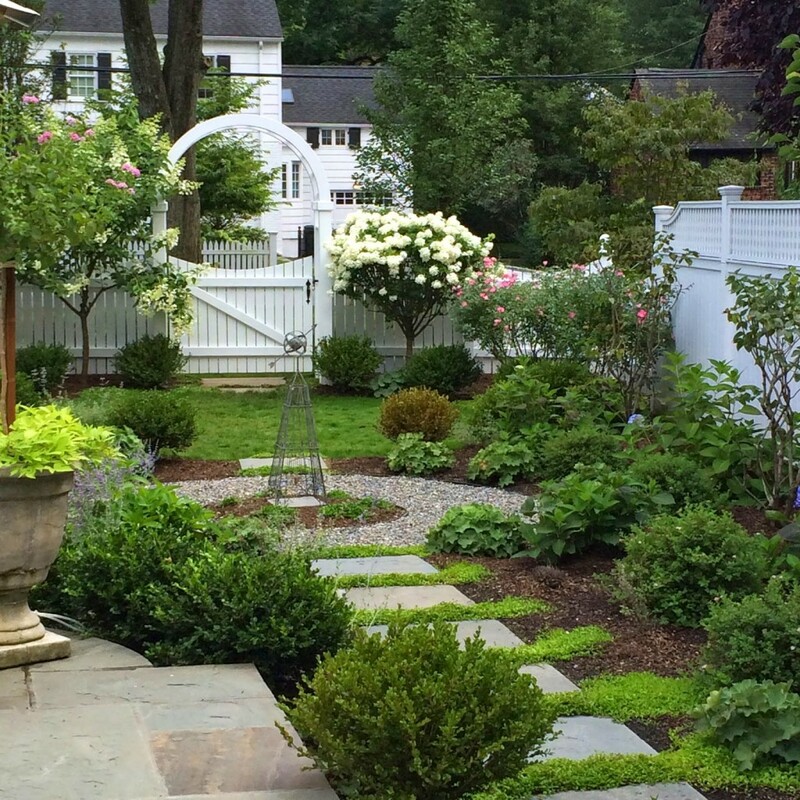 Your secret garden is absolutely gorgeous and inviting E! Elizabeth, you have created such a lovely oasis! It is perfection and I know your family will enjoy the gardens immensely! Beautiful. Well balanced composition through all of the space. 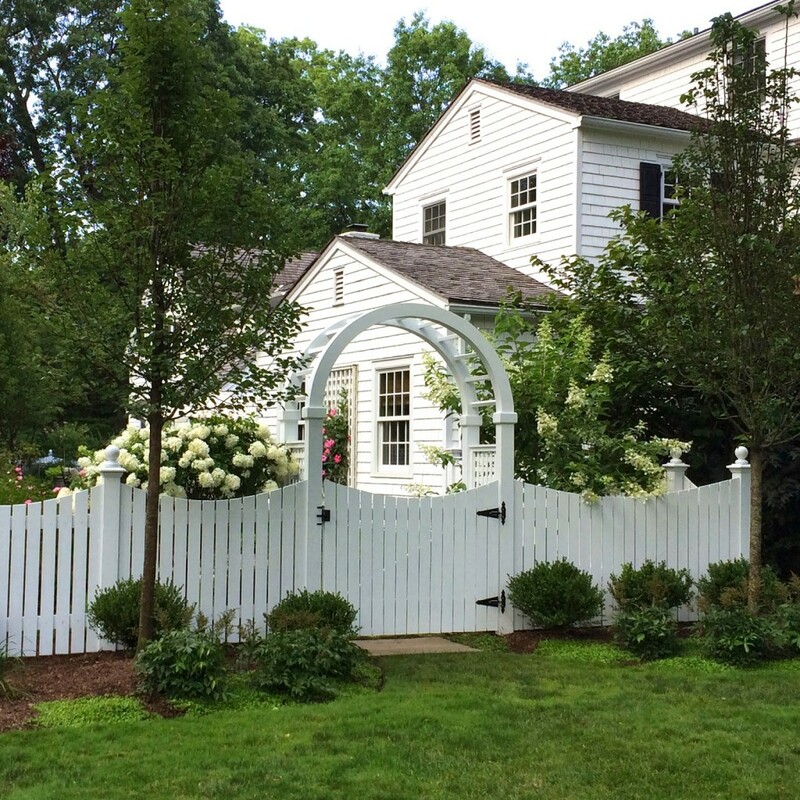 The white picket fence sings out that this is home. So very charming!! 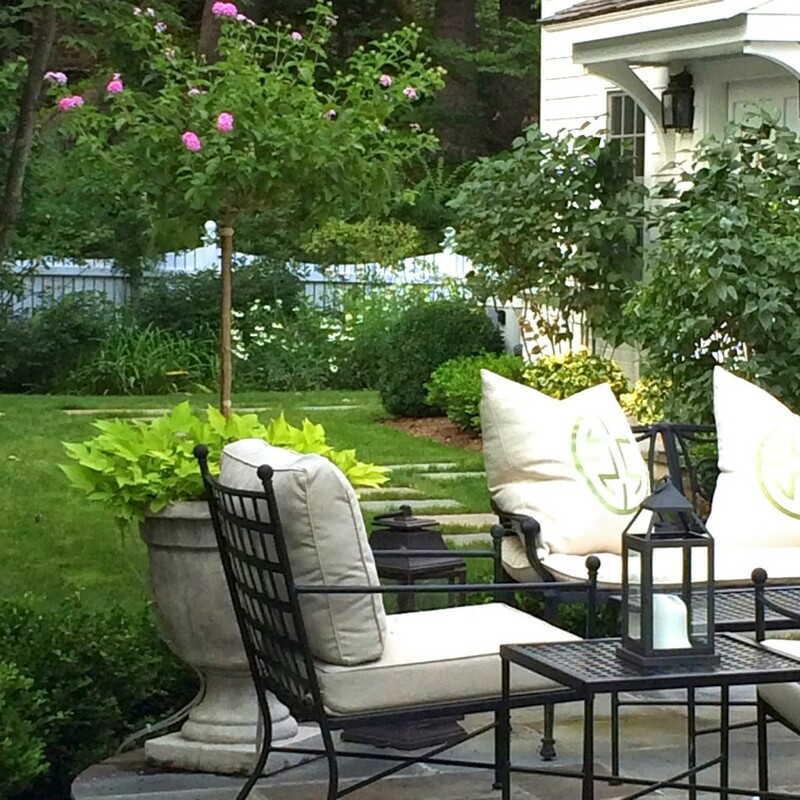 What a lovely lush respite for outdoor living!! This is so beautiful. Enjoy the rest of your summer! This is great! How inspiring! I love it!